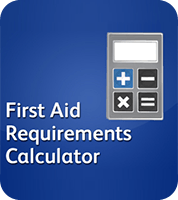 First Aid Courses Liverpool – We make sure that the first aid courses we deliver to you are bespoke and designed to meet your working environment. 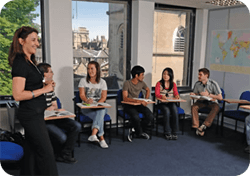 By making your course specific it creates a very effective training day and engages the delegates attending. We provide affordable first aid courses and consultancy services to businesses, schools, sports associations, and most construction and building sectors in Liverpool and the Merseyside area. Our training consultants are accredited to the highest level to deliver a complete range of Health and Safety courses. 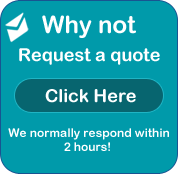 Why Choose Liverpool Training Solutions for your First Aid Training? We should not be frightened of training but it should be looked upon as part of our everyday work. 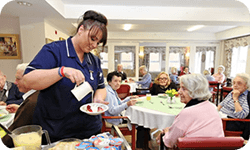 Through our experience we have found that individual quality management systems fall short of the minimum required Mandatory standards due to a failure of appliance of individually tailored training courses. This view in many ways has been validated by managers and delegate comments on post delivery evaluation sheets. Liverpool Training Solutions operate as a specialist training provider, offering a robust and holistic service to its clients. The most valuable commodity we have as employers is the staff whom we employ. We endeavour at all times to embrace the individual qualities of team members in order to maximise their potential for further development both on a personal and professional level. 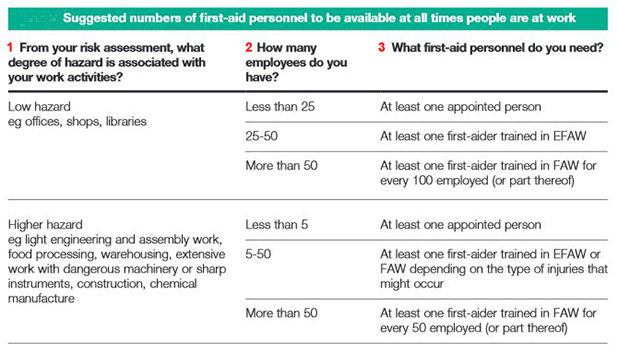 For more information on First Aid at Work mandatory requirements please visit the Health and Safety Executive website. For further support or information on our First aid courses Liverpool please email us or why not call us on 0151 515 0416 and speak to our experienced and friendly staff.